Registered nurse schools in Oklahoma prepare applicants to work in the most exhilarating and challenging health care environment. A wide range of nursing programs are available that incorporates the know-how about assessing the disease by analyzing symptoms, and delivering required medication. An inclusive curriculum of these courses equip aspirants with expertise in problem-solving, leadership, management, decision-making skills, so that, they could be able to provide effective services. So if you want to become a competent nurse, join the recognized nursing program in Oklahoma. One must fulfill the following requisites before applying in an RN school. Your age should be eighteen years or above. The student’s Cumulative Grade Point must be equal to or above 2.5. The applicant is supposed to provide a legal photo ID. The aspirant should be a high school graduate. Every student should qualify the pre-entrance test i.e. TEAS conducted by the respective institutes. Criminal background screening will be required before entering in an RN program. Student must submit the complete resident verification form. You are expected to submit fingerprint report. There are distinct pathways to become an RN. Choose the one which interests you more. Associate Degree in Nursing: ADN is a two-year degree program specially designed for those people who wish to work in the healthcare industry. Curriculum of associate degree train candidates for professional nursing careers by developing competencies in interpersonal, assessment, contemporary health problems, and therapeutic communication skills. Bachelors of Science in Nursing: Most of the aspirantsopt forBSN to build a career in nursing. A four-year coursework includes classroom, laboratory and practical experience, and also inculcates leadership, communication, nursing values and critical thinking skills. It helps you earn the higher academic credentials. The students holding this degree have a variety of job options. Accelerated BSN Degree: The second degree program is designed specifically for those students who currently hold a non-nursing bachelor degree but wish to begin a career in nursing shortly, rather than pursuing a traditional course. It is a 12 to 15 months program. LPN to RN: This program allows licensed practical nurses to continue their learning in order to advance professionally in the nursing sector. LPNs can achieve their educational objectives by using their previous credits. RN to BSN Program: RN to BSN track strengthens your existing knowledge and experience as an RN, and presents an in-depth outlook of nursing. Students learn to provide primary health care in varied settings and educate individuals and their families. 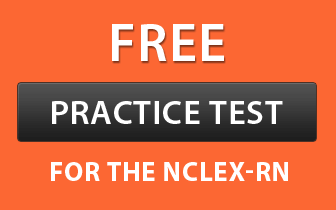 You should complete any of the above mentioned programs successfully so as to sit for the NCLEX-RN exams. Master of Science in Nursing: Master degree program equips nurses with advance skills. They can select the area of specialization according to their interest and can become nurse educator, practitioner or manager. Doctor of Nursing Practices (DNP): DNP degree is framed in order to meet the changing demands of the complex health care sector. The coursework generally focuses on diagnosis and treatment of diseases. After completing the curriculum, you can work as an independent primary care provider. A list of institutes registered under the Oklahoma Board of Nursing and accredited by the Commission on Collegiate Nursing Education is given below.